In addition to the annual physical, the AAP now suggests that pediatricians conduct an annual mental health screening starting at age 12, as well, to lower the risk of depression in teens. RALEIGH, N.C. - Feb. 26, 2018 - PRLog -- Faro10 applauds the new AAP guidelines to implement annual mental health screenings along with annual physical check-ups starting at age 12. There is evidence that many adolescents go without mental health treatment due to lack of screening and lack of available care. 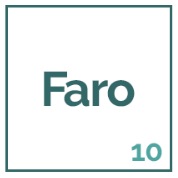 Faro10 is a free app for parents to use to begin to track those symptoms in their teen when they are not sure if those symptoms are normal or evidence of mental distress. The AAP guidelines suggest that after two weeks of changes in a teen's mood and behavior, it is possible to diagnose a depressive disorder. By tracking your teen's mood and behavior, along with making notes in the journal, you can then confidentially share those notes with your pediatrician who can refer to you a licensed therapist. While there is a range of mild, moderate and severe depression symptoms, having data on your teen can help a clinician make a proper diagnosis. To learn more about how Faro10 can help you and to download the free app, go to https://www.faro10.com/guardians.